We created FixMyStreet Pro to help councils and city governments better manage inbound street reports and issues from their residents. In the past few months we’ve rolled out the FixMyStreet Pro service to new customers including Bath & North East Somerset, Buckinghamshire and Rutland councils; each of whom are taking the opportunity to get rid of legacy software, simplify their operations and make use of a much simpler and intuitive way for their residents and staff to make and manage reports. We’re now looking for input from councils to help us guide the next phase of our service development on FixMyStreet Pro. Having spoken to dozens of councils we think we can help them save more money by extending FixMyStreet Pro to other areas like waste and environment services and we would like to explore how much development work that might entail. As FixMyStreet’s name would suggest our focus so far has been on handling issues related to highways like potholes, lighting and gullies (drains to me and you), but FixMyStreet Pro already handles reports for a whole range of issues beyond streets. Typically council users of FixMyStreet Pro have around 13 to 15 different self-selected categories that they accept reports on – each of which can be directed to different teams or departments. 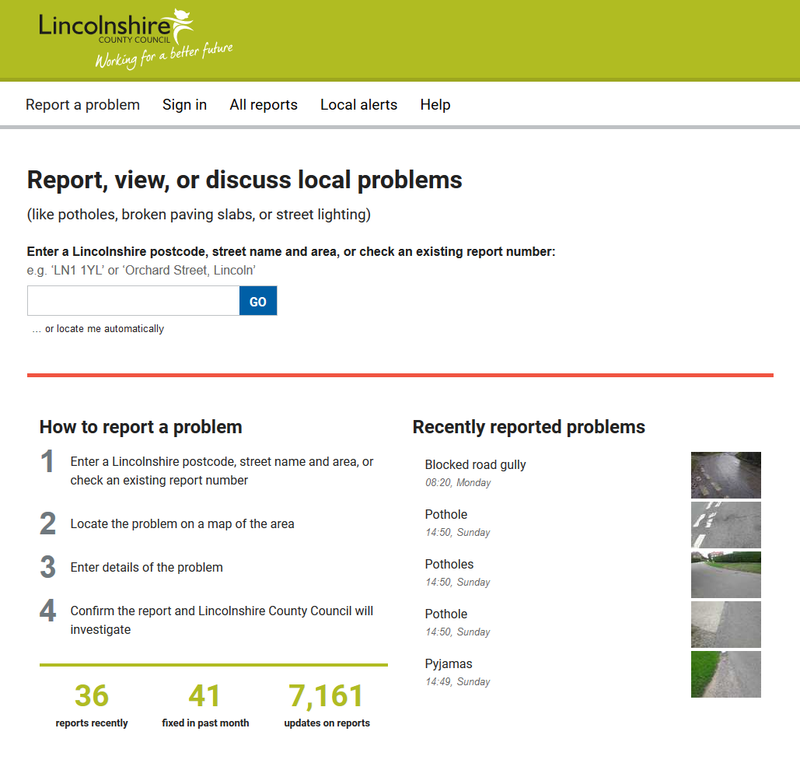 Tree reports can be sent directly to the parks department, graffiti or abandoned cars can be passed along to the just the right team in street cleansing. These ‘front end reports’ all have one thing in common: all we need to make the report is a location and description, plus a contact for the reporter, which could be as simple as an email address or phone number. But once you get deeper into the glamorous world of bins and waste services for individual residents the situation gets a little more complicated. Missed bin collections, requests for recycling bags, bulky waste collection – these all require the resident to be identified, the particular property to be checked with the UPRN (Unique Property Reference Number), and in some cases payments levied and collected. FixMyStreet Pro doesn’t currently offer these additional waste services, although it doesn’t require a huge leap of imagination to see how we could add these adjacent features to the service, not least because we already do a lot of the pieces across our other commercial services. Fortunately there has already been a lot of work done to define common standards, such as the Local Waste Service Standards Project from 2016 and more recent work by individual councils to apply some of this work – we also have a lot of our own research and experience to draw upon with numerous specific feature requests from our current local authority clients. To make this happen we’d like to recruit at least two or three friendly councils available for interviews and possibly a workshop or two, to help us determine specific requirements and test out some of our early prototypes and hypotheses. From here we’d aim to develop these features into fully working aspects of FixMyStreet Pro over the summer. If this is of interest to you, if you’re already grappling with this in your own council, or you’d just like to find out more, please get in touch with enquiries@fixmystreet.com and we can have a chat. In the meantime you can always find out more about what FixMyStreet Pro can do on one of our regular Friday Webinars. This year, Bristol Council did something unusual and admirable. As far as we’re aware, they’re the first UK council to have taken such a step. Working with mySociety on custom Open311 ‘middleware’ while adopting FixMyStreet as their fault-reporting system, they now enjoy full flexibility, no matter what the future holds. Thanks to this open approach, Bristol will extract more value from their existing systems and lower operating costs. With integrated, open solutions, and the raised quality of report formatting that Open311 brings, everyone will benefit. Councils are increasingly understanding the value of flexibility when it comes to service providers. Contracts that lock them into a single provider for many years mean that, often, there’s no opportunity to benefit when technology advances, and disproportionate costs can be charged for implementing the slightest changes. This desire for flexibility was a strong factor in Bristol City Council’s decision to adopt FixMyStreet for Councils — and that opened the door for a conversation about Open311. We’ve always advocated integration via Open311, to the extent that we offer free hook-up with FixMyStreet to any councils who support it. Because Open311 is an open standard, it supports the entire landscape of providers like FixMyStreet. Right now, Bristol can accept street fault reports not just from us, but from a full range of services — in other words, any site or app that cares to connect with them can do so. No-one knows what the future will hold: if a game-changing system emerges in the future, it makes sense that you’d be able to accept its reports. All well and good: but when Bristol City Council implemented FixMyStreet as their fault-reporting system, the concept was taken a little bit further. With our collaboration, Bristol created their own Open311 ‘middleware’, sitting between the two systems and talking to both. Via this method, their existing CMS, Confirm, can hook up to reports coming through from FixMyStreet. That all works smoothly — but, just as importantly, if Bristol ever decide to replace their CRM provider, they’ll be able to do so with no knock-on effect to FixMyStreet reports. And if they ever decide to replace FixMyStreet with a different provider, or indeed to accept reports from a range of providers, they can do that too. Bristol found us via the GCloud procurement system, and are the first metropolitan unitary authority to install FixMyStreet. Bristol launched its FixMyStreet service to the public in the summer of 2016. 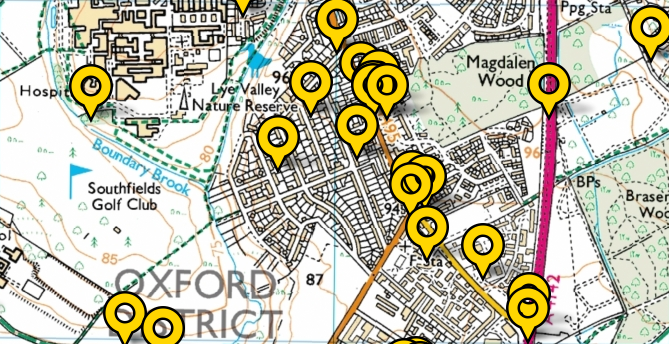 This autumn, they added asset-based reporting, meaning that known council properties such as streetlights, grit bins and gullies are all marked on FixMyStreet’s maps. Residents can pinpoint and report the location of faults with these assets far more accurately as a result. There’ll be a phased rollout across departments, starting with Highways and moving across departments as Bristol extend their own middleware. We’ll be watching with great interest. Find out more about FixMyStreet for Councils. We’ve recently made a few small changes to FixMyStreet. Nothing new there; we’re often tweaking things to make FixMyStreet more usable. Except, these changes weren’t our own idea: they were based on feedback from a council. 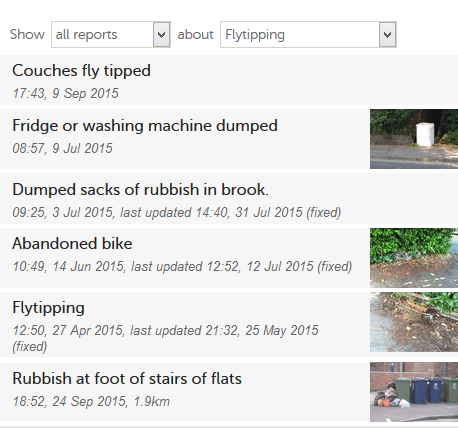 If you’re looking at an area of the country on FixMyStreet and are only interested in a specific type of problem—for example, potholes or fly tipping—you can now filter reports. Much easier, especially in some of the very report-dense areas of the country. But Oxfordshire spotted an opportunity to make things a little clearer. Where a council has opted for full integration, FixMyStreet can automatically update the status of reports as they go through the fix cycle. When you go to report your problem on FixMyStreet, you can zoom in and out of the map and pan it around until you find exactly the right spot in which to place your pin. There was just one thing, though: while the streets and other map features got bigger and smaller as you zoomed in or out, the pins remained the same size. Several councils around the country use FixMyStreet as the main problem-reporting system on their own websites—so if you report a problem on the Stevenage, Oxfordshire, Bromley or Warwickshire council websites (among others) you may find the interface very familiar. There are obvious benefits for us in supplying FixMyStreet as software for councils—not least that the revenue goes to support our charitable work! But cases like this highlight a more subtle benefit: with the increased userbase, and with the additional council administrators who are actually thinking about the FixMyStreet experience at any one time, we gain valuable insights into its usability. Where we can, we’ll make the changes for our clients, and, if desirable, we can push the same code onto the main FixMyStreet.com site. That benefit goes two ways: equally, improvements we make to FixMyStreet are generally available on FixMyStreet for Councils. So, those frequent tweaks we talked about at the beginning? They get rolled out for our clients, too. The winner in all of this is the user, which is just as it should be. If you’re from a council and would like to know more, please visit our FixMyStreet for Councils page. FixMyStreet for Councils delivers cost savings—and that’s a fact. 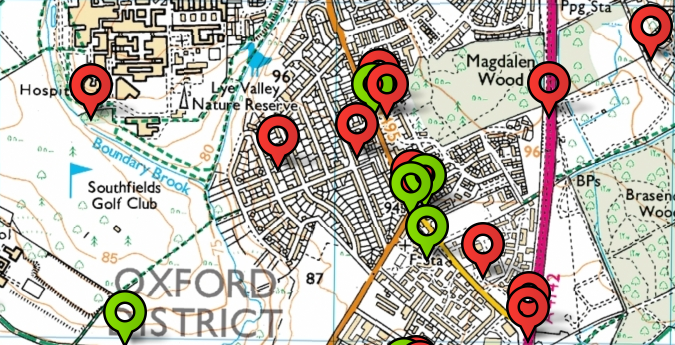 Oxfordshire County Council installed FixMyStreet as their fault-reporting system in March 2013. Like every council, they were keen to see reductions in their expenditure, and were hopeful that FixMyStreet would help them in their aim to shift problem-reporting online. We’re delighted to hear that, two years on, those benefits are tangible. Not only can they demonstrate a cut in call handling times, but they can also put a figure on just how much they have saved. FixMyStreet has reduced the average handling time of our calls from nearly four minutes to around two minutes. Robert Hill, Oxfordshire’s Web Services Manager, puts a figure on the savings, reckoning that the reduced time logging faults equates to £16,047.60 a year in staff costs. “Working with My Society has been a refreshing experience. “They are very open to making changes to the way that the product works in order to improve both the customer experience and the experience for council employees. If you’d like to see a drop in your own call-handling times, and the associated cost benefits, take a look at FixMyStreet for Councils. FixMyStreet for Councils is great for citizens, but there are plenty of reasons why it’s also great for councils. Here are six ways in which FixMyStreet for Councils can help you save money and meet internal targets. FixMyStreet for Councils’ highly usable interface has been proven to deliver channel shift, with shorter call times and resulting cost savings on staff FTE. Read our recent figures from Oxfordshire County Council, or take a look at our case studies from Barnet Borough Council and the city of Zurich to see just what benefits these authorities saw with their FixMyStreet for Councils installations. In these times of budgetary cuts, it helps to know there won’t be any unforeseen costs in maintenance or hosting. We manage all of that, and as it’s all included as standard, that counts as real added value. Worried about the loss of data? No need: because FixMyStreet is all ‘in the cloud’, there’s no risk of it ever going missing. We know you’re looking for partners you can rely on. With twelve years in the business, we’re a solid, reliable organisation that can offer long-term contracts with no worries about sustainability. As a not-for-profit charity, mySociety ticks all the right boxes when it comes to your Social Values Act quota. Every penny we make goes towards our charitable projects, empowering people and giving better access to democracy. mySociety also employs volunteers and runs various forms of outreach in the civic technology area, aided by profits from our commercial services—your money does good. FixMyStreet has a WCAG 2.0 accessibility level AA, opening it up to the blind, partially-sighted and any other users who rely on screen readers. If your council has an overall remit towards transparency and accountability, FixMyStreet offers a great step forward. Publishing all reports online, it provides a platform for you to show exactly what’s being fixed and what the persistent issues might be in each area. FixMyStreet also provides a continually-updating source of data which can be invaluable in analysing common problems, report hotspots, response times and seasonal cycles. if you’d like to know more about any of these points, or have further questions then please do drop us a line. We’ll be happy to talk. Channel Shift Conference: We’ll be there, will you? Comments Off on Channel Shift Conference: We’ll be there, will you? The mySociety Services team will be attending this year’s Channel Shift Conference on 17th June in London. We’d love to see you there, and we’d be happy to talk about your needs. Local authorities using FixMyStreet for Councils have reported a shift of up to 300% from phone to online reporting. Why? Because when online reporting systems are this easy, phone contact plummets. So we know how important channel shift is for councils, and we can help you achieve it. With central government calling on local councils to lead the way in cost-cutting via digital technologies, we know there’s great pressure to deliver services on an ever-lower budget. The solution doesn’t have to be a lengthy and costly tie-in with a big provider, however. FixMyStreet For Councils shows how small independents can provide everything your clients need, with no long-running, over-priced framework agreements. Come and have a chat and we’ll show you how other councils have implemented our services. We can answer all your questions about back-end integration, mobile apps and how we can tailor FixMyStreet to your needs. We look forward to joining attendees from Central and Local Government, Housing, Police and the Private Sector, to discuss channel shift best practices. The conference will focus on overcoming key barriers, such as: culture change, integrating front-end to back-end systems, effective business process mapping, and demonstrating and promoting channel shift success. Many of our services are tried and tested catalysts for shifting citizen contact online. We’ll be demonstrating the channel shift success we’ve had with our council clients, and showing how you can replicate that success with your own implementation. Each of the previous three months has been a record-breaker for FixMyStreet. In January, you made the highest number of reports in the site’s history… until February. And then that record was smashed again in March with over 17,000 reports across the month. FixMyStreet has been running since 2007, and it’s enjoyed increasing usage over that time, as you’d expect any site to do organically. The performance in the last few months, though—a 30% rise from the year before—has been notable. We reckon it’s been driven by a couple of factors. 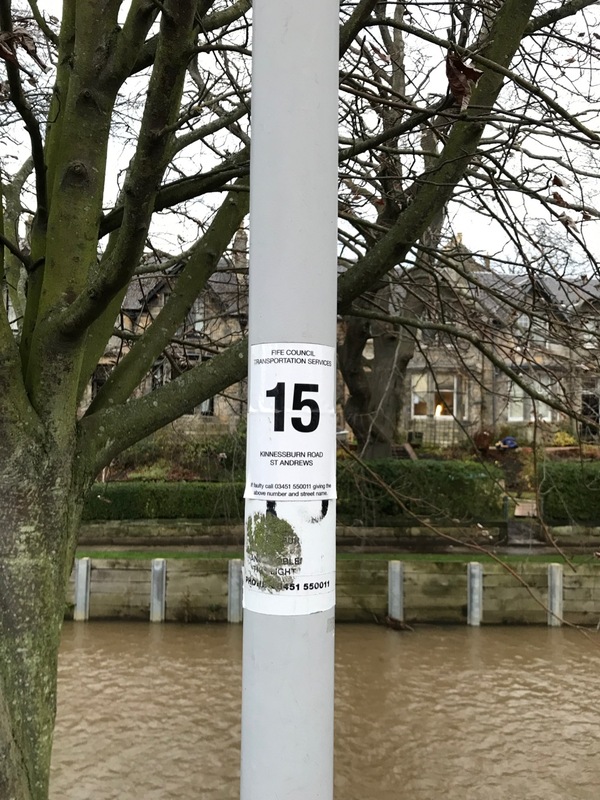 At mySociety, we tend not to go for big advertising campaigns (read: we can’t afford them), but you might have noticed that we put quite a bit of effort into spreading the word about FixMyStreet at the beginning of the year. We also contacted a large number of community newsletters and magazines, serving towns, parishes and villages across the country: perhaps you saw us featured in your local publication. That all paid off, but there was another source of reports helping us achieve our record figures. That source was our client councils, who have FixMyStreet as the primary fault-reporting system on their own sites. Eight UK councils currently have FixMyStreet installed, with every report made on via the system on the council site being published on fixmystreet.com, and vice versa. Between them they’ve added just over 16,500 reports this year. So far this year, we’ve seen an overall average of 16,000+ reports per month, and there have been over 50,000 reports since 2015 began. Now, let’s hope all those reports get some kind of a response, because as the recent research we collaborated on showed, getting something fixed has the power to turn first-time reporters into conscientious, engaged repeat reporters. And that’s all for the good.